For the longest time I had wanted to play D&D. I dabbled into the hobby a bit when I was at university briefly once upon a time (maybe more on that at some point) and found that, given the right group of players, it could be a lot of fun. But, university life left me, as did friendship groups who were interested in that sort of thing. That is until a year or so ago. A good friend of mine posted about wanting to try D&D out but not knowing how to start. I chimed in saying I'd be willing to try running a game and just like that I became a Dungeon Master (DM). The game was run online, is still going strong and brightens my night twice monthly (thank you Ally, you rock). I got the bug for running games pretty quickly. While I still enjoy playing the game as a simple player there's something different about being the person creating the world. It's so satisfying seeing my friends get enjoyment out of an adventure or story I've been preparing for them for weeks and sometimes months. After a while I started a second game, this time sat around a table with friends at Leeds Hackspace. This is when I started to get the urge to do a little more with visualising our combat encounters. Our basic setup was the same as many D&D groups, a basic battlemap that you can draw on using whiteboard markers and a series of tokens. There is nothing wrong with this setup of course, it works perfectly well and we've been playing with it for the best part of the last year. 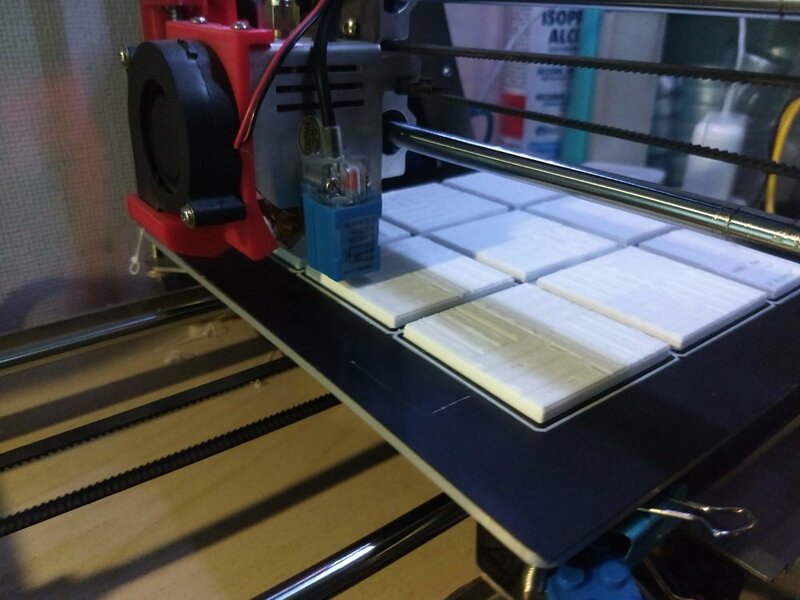 But, being the nerd that I am and having a growing interest in 3d printing I decided to upgrade our offering using 3d printing. 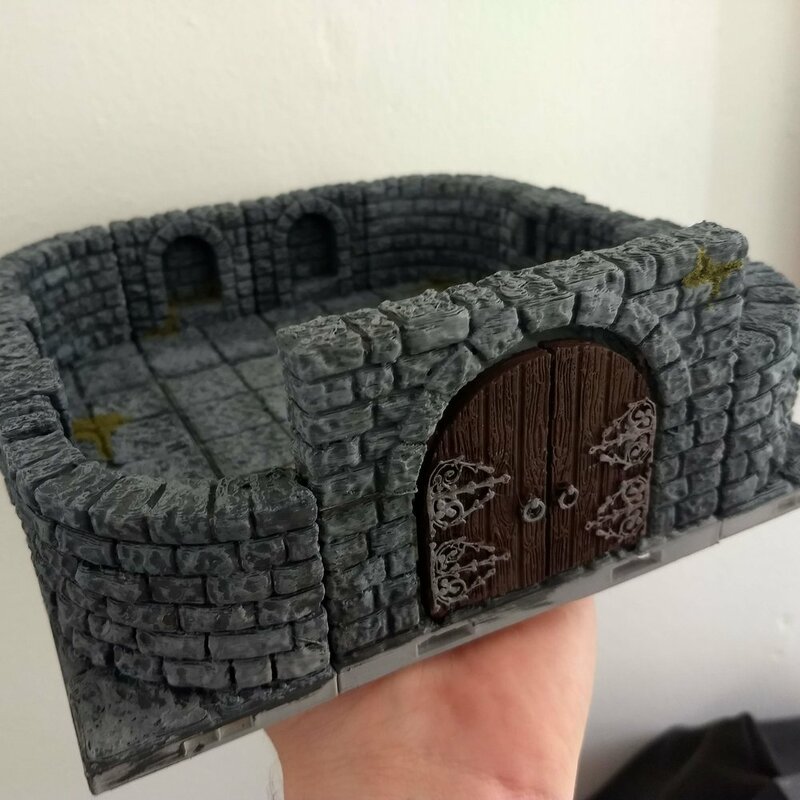 There is a community of people on the internet from around the world making 3d printable terrain for gaming. Some for free and some at cost. Over a few posts here I'm planning on documenting the build of some of my future terrain sets. I will detail the files I use, where you can get them, what tools I use and my process. Hopefully it will help a few people to see just how easy it can be to make useful terrain.